Carlo, Osmosis, and Royal Cotillion. Requires EGA or VGA and a mouse. 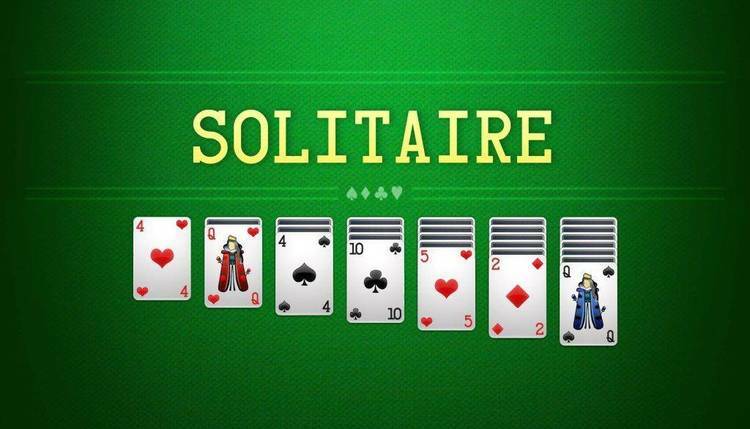 Solitare Suite 1.11 – a number of solitare card games with good graphics. all into a single "suite" with a single, smaller registration fee. 1.01 07-11-92 Fixed CALC undo problems. 1.02 07-17-92 Fixed CONCEN crash problem. 1.03 08-08-92 Changed Royal Cotillion to 10-level undo default. Added on-demand "SP" button to main menu. Changed ID to display "deal ..." message if no more moves. Small improvement to mouse init routine. 1.04 10-21-92 Mouse initialization routine changed in all programs. Changes to all games (detailed below). Added "Border Color" option to all games. Added "Challenge Scoring" option to Midnight Oil. 1.06 08-09-93 Added "Clear Stats" option button to all games. Made button text black in all games. Moved help text to external .HLP file for all games. 1.07 11-07-93 Moved all registration routines to SOLSUITE.EXE. background color, and new "Border Color" option. Added bit-mapped titles & win/lose to all games. Clicking on title area displays "About" box. 1.08 03-31-94 Mouse right-click exits Options menu (all games). Mouse right-click exits Help menu (all games). Added more card backs, deteted others. 1.09 04-23-94 Simplified registration code entry. Removed option to edit command lines. seconds, or press any key to bypass it. 1.00 01-03-91 First Public Release. 1.01 01-11-91 Added "Session Statistics" option. 1.02 02-15-91 More cosmetic changes. 1.03 03-12-91 Added registration procedure. 1.04 03-23-91 Modified registration procedure. 1.05 04-23-91 Added option to print registration form. Changed card definition filenames to CARDS.CD*. 1.06 05-17-91 Fixed problem with equipment test. 1.07 07-01-91 Added Abort (F10) feature. 1.08 08-21-91 Added /LCD command-line switch. Clear message line for Help and Options menus. 1.09 09-02-91 Rewrote mouse initialization routine. 1.10 10-28-91 Added dialog box to select card back. Improved parsing of command-line arguments. pressing F10 again will exit the program. 1.11 02-14-92 Increased number of available card backs to seven. Added "/NC" (No Cheat) command-line option. Added "/W" (Windows Compatability) command-line option. 1.12 06-30-92 Fixed de-selection bug. Added a 10-level undo (accessed via the 'U' key). Increased number of card backs to 8. Now part of "Solitaire Suite". 1.13 07-11-92 Fixed problems with the undo. 1.14 10-21-92 Added "Same Hand" button to replay last hand. 1.15 03-01-93 Added "Border Color" option. 1.16 08-09-93 Added "Clear Stats" option button. Moved help text to external .HLP file. 1.17 11-07-93 Added right-button "undo all". 1.18 03-31-94 Added "Easy Mode" option. 1.19 05-01-94 Fixed card-selection problem in option menu. 1.20 01-15-95 New "about" screen. 1.00 11-17-89 First Public Release. Text-based version. 2.00 06-14-91 New EGA version released. Fixed bug in "Select Player" menu. 2.02 09-02-91 Rewrote mouse initialization routine. 2.03 10-28-91 Added dialog box to select card back. 2.04 02-14-92 Increased number of available card backs to seven. 2.05 06-30-92 Fixed F10 crash problem. 2.06 07-17-92 Fixed start-up crash problem. 2.07 10-21-92 Added 'Quit' dialog box. 2.08 03-01-93 Added "Border Color" option. 2.09 08-09-93 Added "Clear Stats" option button. 2.12 05-01-94 Fixed card-selection problem in option menu. 2.13 01-15-95 New "about" screen. 1.00 01-29-91 First Public Release. 1.02 03-12-91 Added registration procedure. 1.03 03-23-91 Modified registration procedure. 1.04 04-23-91 Added option to print registration form. 1.05 05-17-91 Fixed problem with equipment test. 1.06 06-16-91 Added "Assist" option. 1.12 06-30-92 New mouse routines. 1.13 08-08-92 If no moves available display "deal ..." message. 1.14 10-21-92 Moving cards to empty spaces is now optional. Added "Same Hand" button to replay last hand. Added "Undo" button with 10-level undo. 1.19 04-23-94 Fixed right-button dealing problem. 1.20 05-01-94 Fixed card-selection problem in option menu. 1.21 01-15-95 New "about" screen. 1.02 02-09-91 More small cosmetic changes. 1.10 06-14-91 Added "Undo" feature. Made outline of selected cards easier to see. Added command-line help ("MO ?"). 1.12 09-02-91 Rewrote mouse initialization routine. 1.13 10-28-91 Added dialog box to select card back. 1.14 11-30-91 Increased number of available card backs to seven. 1.15 02-14-92 Added "/NC" (No Cheat) command-line option. 1.16 06-30-92 Fixed F10 crash problem. 1.17 10-21-92 Added 'Move Alert' option. 1.18 03-01-93 Added "Border Color" option. 1.19 08-09-93 Added "Clear Stats" option button. 1.20 11-07-93 Added right-button "undo all". 1.22 05-01-94 Fixed card-selection problem in option menu. 1.23 01-15-95 New "about" screen. 2.00 12-19-90 New EGA version released. 2.01 01-03-91 A few small enhancements and bug fixes. 2.02 01-05-91 A few cosmetic changes. 2.10 01-11-91 Added "Session Statistics" option. 2.11 02-08-91 Fixed bug in draw routine. 2.12 02-24-91 Added auto mode speed adjustment. 2.13 03-12-91 Added Trefoil option. 2.14 03-23-91 Modified registration procedure. 2.15 04-09-91 Fixed bug in "Peek" mode. 2.16 04-23-91 Added option to print registration form. 2.17 05-17-91 Fixed problem with equipment test. 2.20 06-14-91 Added replay option. 2.22 07-31-91 Added /LCD command-line switch. 2.23 09-02-91 Rewrote mouse initialization routine. Fixed a bug in the single-step auto mode. 2.25 12-17-91 Added "/NC" (No Cheat) command-line option. Fixed bug in undo routine. 2.26 01-09-92 Fixed two more bugs in the undo routine. 2.27 02-28-92 Fixed some more bugs in the undo routines. 2.28 06-30-92 Fixed another undo problem. 2.29 10-21-92 Added right mouse button peek. 2.30 03-01-93 Added "Border Color" option. 2.31 08-09-93 Added "Clear Stats" option button. 2.32 11-07-93 Added right-button "undo all". Fixed undo bug with challenge scoring. 2.33 03-31-94 Fixed "session Stats" bug. Allow right mouse button to exit after drawing card. 2.34 05-01-94 Fixed card-selection problem in option menu. 2.35 01-15-95 New "about" screen. 1.07 06-27-91 Added Abort (F10) feature. 1.08 07-31-91 Added /LCD command-line switch. Darken foundations as they're filled. 1.10 10-28-91 Overwrite completed foundation with "COMPLETE"
Added dialog box to select card back. is darkened or overwritten by the word "COMPLETE". cards in the pile can be seen. Increased number of available card backs to seven. 1.12 01-27-92 Added "/NC" (No Cheat) command-line option. 1.13 06-30-92 New mouse routines. 1.14 10-21-92 Cards are turned over as they're dealt. Fixed undo bug with foundation display. 1.00 02-24-91 First public release. 1.01 03-12-91 Added registration procedure. 1.02 03-23-91 Modified registration procedure. 1.03 04-23-91 Added option to print registration form. 1.04 05-17-91 Fixed problem with equipment test. 1.05 05-23-91 Added "peek" feature. 1.06 07-08-91 Fixed problem that displayed mouse coordinates. Added command-line help ("RC ?"). 1.07 09-02-91 Rewrote mouse initialization routine. 1.08 10-28-91 Added dialog box to select card back. 1.09 11-24-91 Added "Move Alert" option. 1.10 01-05-92 Added "/NC" (No Cheat) command-line option. Added "undo" function and "/U" command-line option. 1.11 02-14-92 Added "/W" (Windows Compatability) command-line option. 1.12 06-30-92 Undo buffer now auto-sizes if short on memory. 1.13 08-08-92 Changed to 10-level undo default.